The benefits of kale have long been recognized all over the world. This vegetable powerhouse is packed full of vitamins and minerals. Because of this, it has become such a favourite for people watching their weight or would like to be healthier and happier. In itself, kale aids in removing toxins in the body. It is rich in sulfur that improves digestion and liver health. It also has vitamin C that helps hydrate the body and increase metabolism. The benefits of kale also include strengthening the immune system, helping your body fight harmful viruses and bacteria. It’s also a good source of iron which is great for those suffering from anemia. Like other dark green vegetables, kale may be helpful in preventing various cancers. It is also rich in folic acid, vitamin B6, and vitamin K that reduces the risk of heart ailments and promote better circulatory functions. There are so many ways to prepare and eat kale. Its bitter taste makes it perfect for salads and stir-fries. For salads, it’s best to cut them into strips. Adding a bit of pecorino cheese and lemon juice makes it a whole lot better. Treat it like a vegetable and sautee it with bacon for a silky, smooth side dish. You can also add it to soups and stocks. Kale’s sturdy leaves won’t fall apart when cooked for long periods. Want to go for a crisp snack? Make kale chips! All you need is to toss the leaves with olive oil and salt and bake them for better-than-potato chips goodness. But perhaps the best and easiest way to maximize the benefits of kale’s nutritional value is to make a quick smoothie. 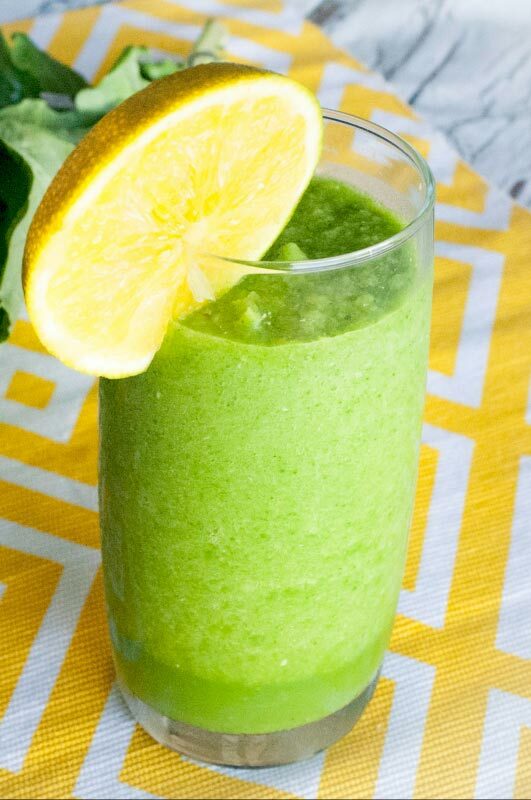 This kale smoothie is an awesome way to start dieting and help you lose weight. It is recommended to replace one of your regular meals with a smoothie to help you start with your diet. As you progress, you can increase the number of smoothies you take per day as you see fit. You also can play with seasonal ingredients to maximize the benefits of kale in your diet. For example, you can replace kale with baby spinach, cilantro, or even chard. Try greens that are in season for a cheaper and more nutritious option. You can also replace water with coconut water, or even use almond milk, green tea, or yoghurt in your smoothie for a creamier texture. As for the fruits, blueberries, strawberries, and cranberries are also great combinations. You can also replace mangoes with other fruits like avocado, apples, and oranges. For fibre, try adding some nuts and seeds to the mix. Flaxseed, psyllium husk, pecans, and walnuts make it more delicious and nutritious too. Check out this tip for amazingly creamy smoothies. 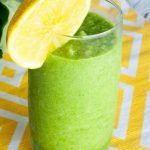 There are countless ways to enjoy the benefits of kale, and numerous smoothie combinations to try. Feel free to tell us about it and share your recipes below. Freeze the coconut water. You can also freeze the chopped pineapple, mango, and orange or just buy frozen. Add some chia seeds and enjoy!